Fort Worth, TX — Twenty-five attorneys with Decker Jones, P.C., are recognized this month as Top Attorneys in Fort Worth, Texas Magazine. Attorneys were nominated by peers from this region and judged by a rigorous panel of experts. Their names are published in the December issue of the magazine and online. About Decker Jones, P.C. 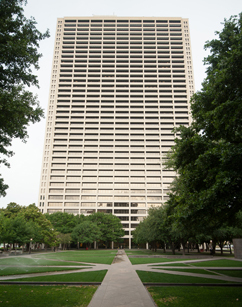 As a full-service law firm headquartered in Fort Worth, TX, Decker Jones proudly serves clients throughout North Texas with numerous business and personal interests across the U.S. The firm believes in a one-on-one approach to customer service. With every client having a single point of contact supported by a network of attorneys working together, Decker Jones applies creative solutions to complex legal issues across a wide range of practice areas. In doing so, they help their clients achieve long-term goals while addressing immediate legal needs and seizing business opportunities.